This single cutaway Harmony Rocket H59 is more sober and genuine than the flamboyant hotrod model we've seen last year - it has its original goldburst finish, the characteristic DeArmond Golden Tone three pickups, a lot of knobs - each pickup has his tone and volume knobs -, and a four position rotary switch on the horn. This guitar was produced between 1960 and 1967 and was a higher end model of what was at the time the biggest instrument manufacturer of the USA. 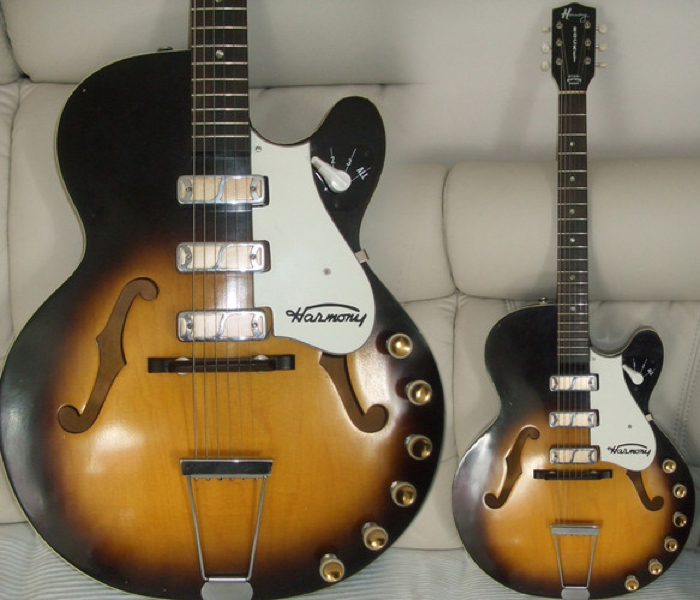 I like that it has a very classic outline, but still different than the standard models - though the Rocket H59 will switch to the ES 335 design in 1968.